Japanese Non-league Football NewsGrulla Strengthen Squad - But Will It Be Enough? Grulla Strengthen Squad - But Will It Be Enough? Tohoku League Division 1 joint champions Grulla Morioka have followed in the footsteps of their Regional League Championship Winners Play-off rivals Rosso Kumamoto by signing a young forward from a J1 side in order to strengthen their attacking options. 20-year-old Tomoya Hirayama, who's 1m 90cm tall, joins the club on loan until the end of December from Nagoya Grampus 8 - and his first task will be to prepare for the play-offs at the end of November, which will decide who gains promotion from the Regional Leagues to the JFL. In the group stages, Grulla take on favourites Rosso and outsiders Fagiano Okayama from the Chugoku region, but with only one side to go through they will clearly have their work cut out to make progress. Hirayama is likely to line up alongside former Mito Hollyhock striker Shogo Sakurai in an attempt to get the goals to see the ambitious northern outfit through to the next step on the road to what Grulla hope will end in J-League membership - but unfortunately for them, Rosso have the kind of financial backing that enables them to populate their squad with no fewer than ten players signed from J-League clubs, such as midfielder Keisuke Suto and forward Hiroshi Fukushima, both from J2 high flyers Avispa Fukuoka. The more modest Fagiano, meanwhile, have reached the play-offs as a result of having finished second in their Regional League to Sagawa Kyubin Chugoku. They too have their sights firmly set on playing at a higher level of football and indeed a year ago the club were taking part in the Okayama Prefectural League. 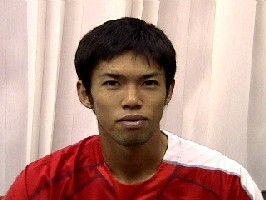 but can only boast ex-Thespa Kusatsu striker Ryan Kyu Sa in their squad as a player with experience of the game at a higher level.